Description: A curve wing fighter primarily designed to function in outer space for ha`tak defense, this sleek and maneuverable battle craft is equipped with twin staff cannons designed to obliterate enemy armor. Although it can function in an atmosphere, it suffers 50% maneuvering penalty due to it's reliance on the lack of inertia for propulsion. The Death Glider is a formidible craft capable of holding it's own in space combat. Description: A self sustaining reaction produced by merging atoms as opposed to splitting them, the fusion reactor is more stable than it's counterpart, but most costly. A fusion reactor is the only type of reactor which will not explode when overheating; however it will render itself inoperable until properly repaired. Description: The most standard cooling system available to reactors, Liquid Cooling utilizes heavy water (H₂O₂) as an insulator and cooling agent, using the steam created by the boiling water to both produce oxygen (O) for life support and steam water (H₂O) to power turbines. Liquid Cooling is included in the base purchasing price of a Reactor. Bonus: Recharges 1 RP every round. Description: Assault Maneuver Weapon System, or A.M.W.S are high output performance mecha. The Dragon unit's are mass produced models but have been tuned to a higher level of performance and are capable of flight. Effect: Reduces lasers, phasers, and particle accelerators HP damage by half, Pilot Risk by 10%, and AP damage by 1. Description:The unit derives power from a ships powerplant or a stationed area that transmits it via a UMN signal or other transmission means. The unit can travel and act to its highest outputs so long as its within range of its vessel. Often ranging vast distances. When not in range the unit has a limited power supply to work with but this begins to recharge once back in range. Description: A massive three story battle mech, redesigned from the former Metal Gear REX. The weapon has a large mechanical sphere on its left shoulder, and the cockpit is hidden behind a shield. Its cockpit lurches forward like a T-rex's head. Its right arm is a cannon the length of a bus, and a missile rack sits on its right shoulder. Underneath its cockpit is a vulcan cannon. Procured by aziel for its equipment to combat other threats for the time being he realizes its also a great asset. Description: Developed to withstand high-heat and -energy based weaponry, ablative armor plates "bleed off" heat and waveforms to reduce the effect they have on shielded craft. Description: A suite of digital software is added to a pilot or gunner's weapon package, using "leading" software that judges velocity and predicts movement to aid in targeting dumbfire weapons. Description: A series of tiny, jet-emitting nozzles set all around a vehicle and a precision-guided virtual intelligence forms a "Reaction Control System," which allows a pilot to make precision movements in dangerous conditions. Description: Rather than a liquid like water, a solution of fluoride salt is melted at an extremely high temperature and circulated around the reactor core. This reduces the pressure needed to maintain reactions, and allows them to operate safely at much higher temperatures. Bonus: Recharges 3 RP every round. Description: A heavily modified AMWS unit tuned beyond to the point it surpasses previously thought specifications for its class. 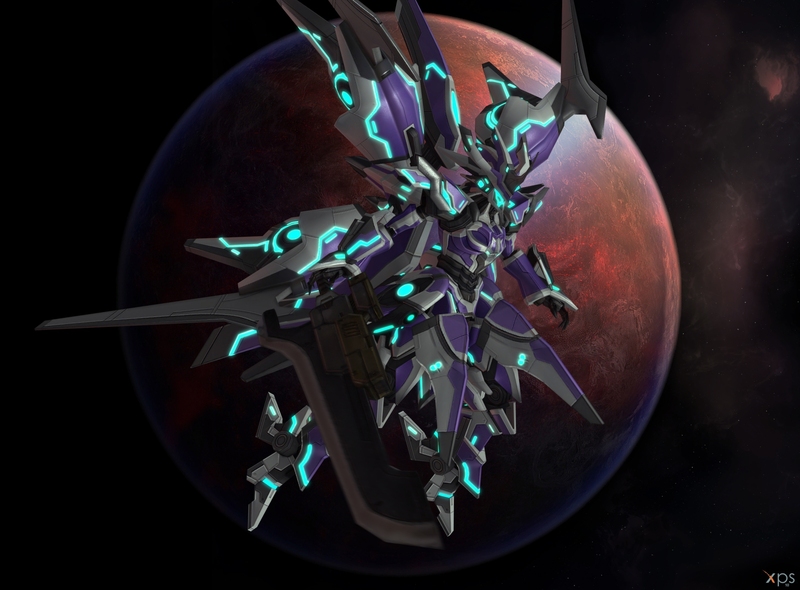 This unit was created when the EXCEED partition of dynamis determined the Destiny ascension needed a highspeed mobility unit capable of turning the tide of any battle. 6. Healing System: Restore 50% of AP or recover a hard points systems that have been lost. Description: A pivot and gimble mechanism built into the body of a vehicle allows the pilot to remain oriented upwards regardless of the condition of the vehicle. Description: An optical illusion system, typically generated with optical cell plating. Renders the vehicle invisible to sight, but not to sensors or other senses. Effect: Renders a vehicle "invisible" to the naked eye and optical detection, including laser designation. Other types of detection software will still render the vehicle. Description: Originally a ship created by Jason Evermore, for matters of traversing space . After being seen by Halcyon Renard the ship was upgraded and retrofitted with a wide array of new abilities, its abilities in all areas have been increased dramatically, with aziel's aid and study. The crusader is not a science ship, assault craft, or a scout vessel however it takes from several types making it a unique hybrid among ships of its type and purpose. Taking one of these down will be a major challenge. The Seraphim Crusader can have 2 operators. It's AI NIA usually takes this role. Note: While there are MANY weapons on board only '2' can be fired at a time. One by the main operator and another by the secondary. Description: A massive blue materia core that both doubled as the ships computing center as well its power source. The blueprint for the seraphim crusader also lay here. The exact method of creation is unknown. Effect: Adds a fourth layer of defense to APs protected, effective against rockets, missiles, and torpedoes only. Description: The powerful restorative shielding of the crusader has proven powerful. To date while often challenged it has only beein completely piereced by the might of silver dragons. Description: The medical bay uses runic technology after scanning an individual to repair even the most critical of wounds with large amount of success. Restoring minor wounds and even lost limbs. An interactive unit that upon touching gives the user full mental control of the ships functionality, weapons, and extended information as well as a mysterious button that in the event of total destruction allows the ship to reconstruct itself. Gate Dail-Supergate System: This allows the crusader to create a stargate and gate jump to any known location with a stargate so long as the location is properly dailed. Description: The Arwing MK-II "All Range Winged Fighter" is developed by a Lylat Alliance defense contractor "Space Dynamics" and represent a highly advanced logistics platform. The craft is fully versatile, capable of high speed strafing runs then switching immediately to a dogfight mode. It's unique G-Diffuser converts inertial g-force into an electrical charge to power a weak deflector shield during specific maneuvers, the most effective of which is an aileron roll (commonly misnamed a 'barrel roll' due to the unique appearance of the shield). The craft is capable of operation within and out of space battles and can survive re-entry as well as possessing sufficient Delta-V to re-launch into orbit. - Capacitor: HLC's can be charged to unleash a homing burst worth double AP damage and a +5 to hit. - G-Diffuser - As an optional action, a pilot may opt to engage a High-G maneuver to invoke the G-Diffuser system. Roll piloting skill. On a 75 or higher, the craft is invulnerable to any weapon dealing 3 or less AP. Description: A high speed intercept vehicle used by the Nigellian G-Police Force for anti-smuggling operations (which is ironic, given the initial condition of this craft indicates it was smuggled out of the territory). The craft is a nimble, thin craft almost resembling a helicoptor with thrusters towards the rear and fixed wings towards the front. Its high speed and utility comes at a price however, as the crafts thin armor is not designed for heavy combat. It is, however, capable of passive regeneration, recovering 2 AP lost per round, making it a surprisingly resiliant fighter against small attack. As a police craft, it's outfitting is designed to disable or capture a craft whole, and it is equipped with a special high power microwave weapon and salvage beam to this effect. Fortunately, it's high speed thrusters place the pilot in little risk. - Salvage Beam: A high powered tractor beam with the special capability of dismantling enemy ships as they are destroyed. Any craft can be disassembled into 10% resources for sale (salvage) or 1 random component for study. A fully disabled craft may be captured intact without dismantling it, however it's strength prevents active craft from being towed.. Description: Assault Maneuver Weapon System, or A.M.W.S are high output performance mecha. The Dragon unit's are mass produced models but have been tuned to a higher level of performance and are capable of flight. Ravenson has taken one of the Dragon Unit models, heavily, radiacally and rapidly modified it to suit his own personal tastes and desires. 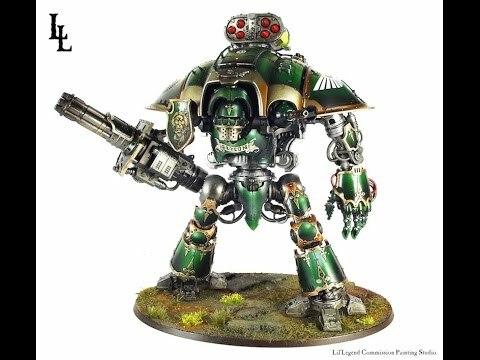 This model of AMWS has had it's armaments drastically upscaled, turning it into a heavy gunnery mech. Ravenson has named the knight Neamhain, after the Aes Sidhe/Goddess that personifies the frenzied havoc of war. This spirit-woman is often noted as a daughter of The Morrigan, or when The Morrigan is depicted as a triad, Neamhain is often a member. HP 6: L-Radar - Provides AP total of vehicles. Level 1: Shot Buster - Deploys a powerful energy cannon for use. Level 2: Flare Buster - Deploys a missile rack for use. Effect: (20x1, 10x2) shots; 30,000 HP/2 AP, Fire element, Chronic “Burn” status. Level 3: Cerberus - Deploys a single, massive beam weapon for ultra-long range attack. A white-and-blue paletted Ein Sof unit, Asher is covered in angled and jagged points from head to toe. The humanoid munit has two hands and two feet, with a head that can hold a pilot and a co-pilot. Beneath its hands are its energy cannons, with empty hardpoints mounted on the top of each forearm. The angled points of nearly every inch of this vehicle hide empty and potential hardpoints that make this unit the only E.S. unit that can be modified on the fly, by loading and unloading different weapons. Effect: Reinforces a vehicle for use as a battering ram, making it better for collisions and penetrating hulls. Can strike up to 2 vehicles at a time, dealing 3 AP damage. Effect: Up to 5 targets (Area of Effect), no damage to targets with up to Acute “Concealment” status; 35,000 HP/2 AP damage, 0 (+10 when attacking Ground targets) to hit. Effect: 3 shots (MMS); air targets only, 1 target; 70,000 HP/3 AP, +15 (+10 TS) to hit. Level 1: Shield Ram - Dan wraps itself in its shield chassis and pushes forward breaking threw enemy lines and more importantly the enemies themselves. Level 2: Total Assault - Dan wraps itself in its shield chassis while arming all of its black cannon drones for a focused fire assault on several enemies. Effect: +10 To hit; 150,000 Damage / 15 AP Damage, Acute “Suppressing Fire” effect on 1 Area. Level 3: Pincer Assault - Dan uses its shield chassis to ensnare a target and crush them between its shield chasis while using a black cannon drone to perform a beam assault on the frame. Effect: 1 target; +25 to hit, 120,000/12 AP Damage & 30% chance of destroying a single hardpoint to the point of needing replacement. Dan is a sable-colored, vaguely-disc shaped Ein Sof unit with two absolutely massive “arms” that extend down and in front of it in finger-like phalanges, providing ample shielding against attacks. Its cockpit has seats for a pilot and a co-pilot. Despite being one of the most heavily armored and defensive units created, Dan is also one of the most maneuverable. It is fast, responsive, and a bulwark against attack. With its AIRD System drones, Dan is a stalwart unit that plays well to its own strengths. Effect: 10,000 HP/1 AP damage, ignores armor, +5 to hit. Effect: 10,000 HP/0 AP damage, Acute “Suppressing Fire” effect, attacks 1 Area. Level 1: R-Fang - Deploys a powerful energy sword for use. Level 2: X-Buster - Deploys a focused beam cannon for use. Level 3: X-Cannon - Deploys an extremely powerful energy cannon for use. Effect: Up to 2 areas bombardment; 120,000 HP/12 AP, Acute “Suppressing Fire”, destroys “Concealment” status effect, -25 to hit. Description: Small vehicles which possess two or three wheels and are designed for individual use only. Bikes are the fastest and most maneuverable ground vehicle class, but are also the most dangerous due to their lack of protection of the pilot. Although they can be customized, the lack of available space limits the amount of customization options a pilot has. Effect: Raises the Maneuverability Rating of a vehicle by 25% when on-road. Effect: 25,000 HP/1 APx3’ 0 to hit. A complex, high tech E.S. unit capable of transforming between a more traditional-looking craft and a more humanoid form that was originally constructed to work with KOS-MOS's systems. It is the only Ein Sof unit capable of entering and exiting hyperspace without having to interact with the U.M.N. first. Dinah is a bi-pedal white unit with violet trim, two enormous fan-shaped wings behind it, and an otherwise humanoid-like appearance. Due to its highly advanced and technical nature, the headpiece has seats for a pilot, a co-pilot, and a gunner. The co-pilot seat is connected to Dinah’s Mobile Interface unit, allowing it to be jettisoned and used independently. E.S. Dinah was originally supposed to be leased to the Kukai Foundation, but the destruction of Vector Industries put that deal on hold, leaving Dinah to be garaged with the rest of the Ein Sof units.